Join Chicks in beautiful Red Rock Canyon just outside of Las Vegas, Nevada. When most people hear the word Vegas, the image of giant casinos, neon lights and the best people watching on the planet come to mind. For rock climbers what comes to mind are giant sandstone cliffs and deep canyons filled with a lifetime of rock to climb. Red Rock Canyon is a world-renowned climber’s paradise located in Nevada just 17 miles West of the Las Vegas Strip. This amazing climbing area offers everything from single pitch sport routes to long (moderately graded) multi-pitch routes. Red Rock Canyon climbing is superb and varied. The sandstone cliffs are sculpted with perfect incut holds, which are very much like what you may find in a climbing gym. There is also great crack climbs for those who would like to work on your jamming technique, placing and removing traditional gear, building anchors and transitions. Between the single pitch sport climbs and the long moderate multi-pitch routes, there is something for everyone. 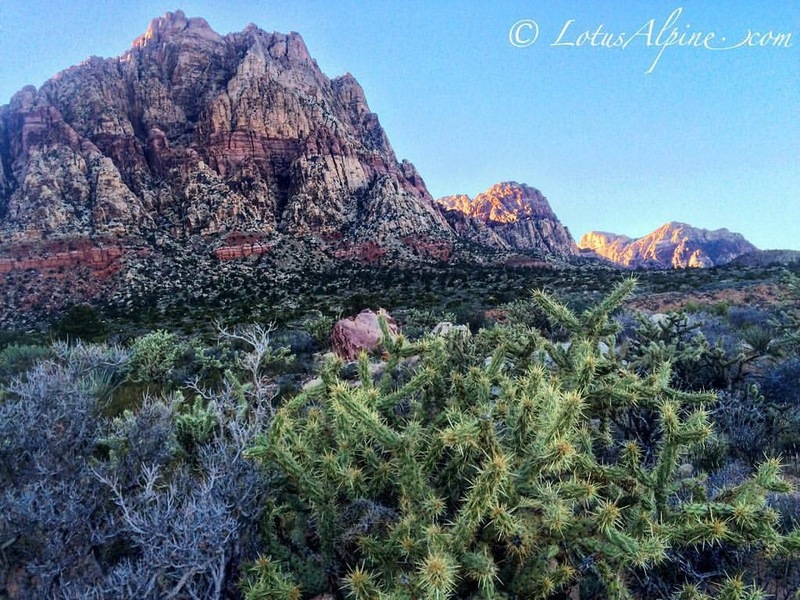 Red Rock Canyon is the perfect location for all levels of climbers to come for a challenge. The variety of terrain allows us to tailor the program to your specific experience and goals. You can choose from 4 different levels and we will pair you up with others who have a similar ability. Low-ratio group instruction allows us to help the indoor climber transition to outdoor climbing, top ropers wanting to learn to lead, and to help the seasoned veteran climber advance her ability and knowledge. Each level is comprehensive and aims to make you a more confident, independent and self-reliant climber. This program is packed with climbing and instructional time so you will get plenty of practice honing your new technique and knowledge under the watchful eye of female AMGA Certified Rock Guides. 5:00- 6:00 pm: Check in at the campsite group campsite. 6:00 PM: Kick-off meeting. Demo gear handed out and sort into your groups. 7:00 am: Coffee, breakfast and prepare for climbing. 6:00 pm: Dinner on your own. Cook at the campsite or go into town. 3:30 pm: Closing meeting, return demo gear, depart for home or stay and camp another night. Less than 30 days, no refund no transfer of payments. *Travel insurance is required for all International Trips and is strongly recommended for US programs as well. In the event you have an unexpected life occurrence and need to cancel it will help you recover your payment. Chicks works with an agent who is familiar with our programs and travel insurance needs. Please contact Erin Rountree at 208-788-2870.